Errol: You know, I don’t know if anyone else will blog, but I keep putting my name before every entry. Anyway, I learned about Stay Classy a few years ago and I thought that was super cool! You can now have an online page where you can raise money for an organization! They changed their name to Classy now and you can sign up yourself! You can set up a Classy account for NaNoWriMo. 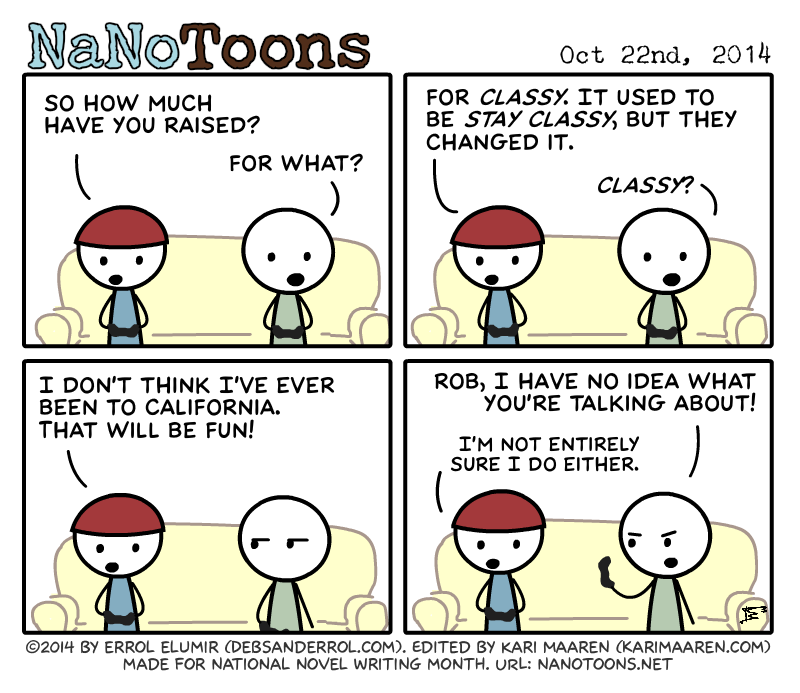 You can also set up a Classy account to raise money for Night of Writing Dangerously as well! This entry was posted in 2014 and tagged dave, rob. Bookmark the permalink. Way to go for not knowing what in the world you’re talking about!!! !